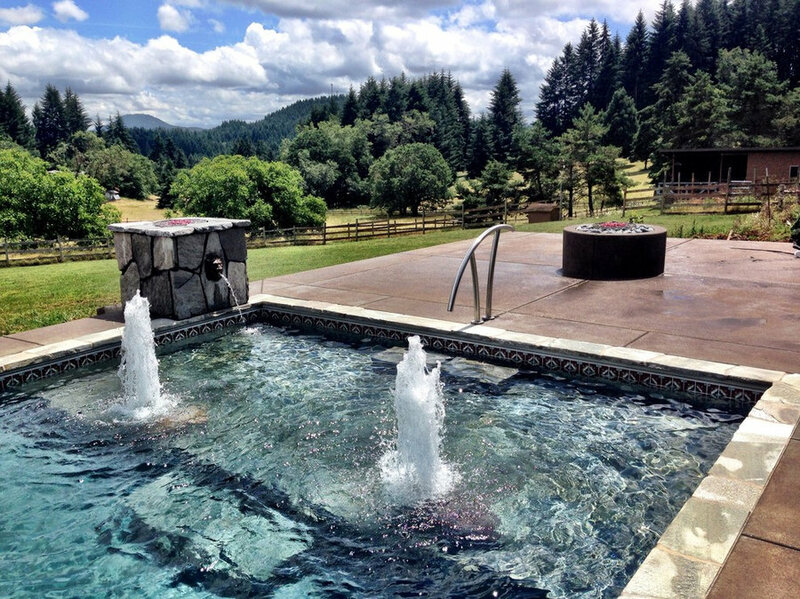 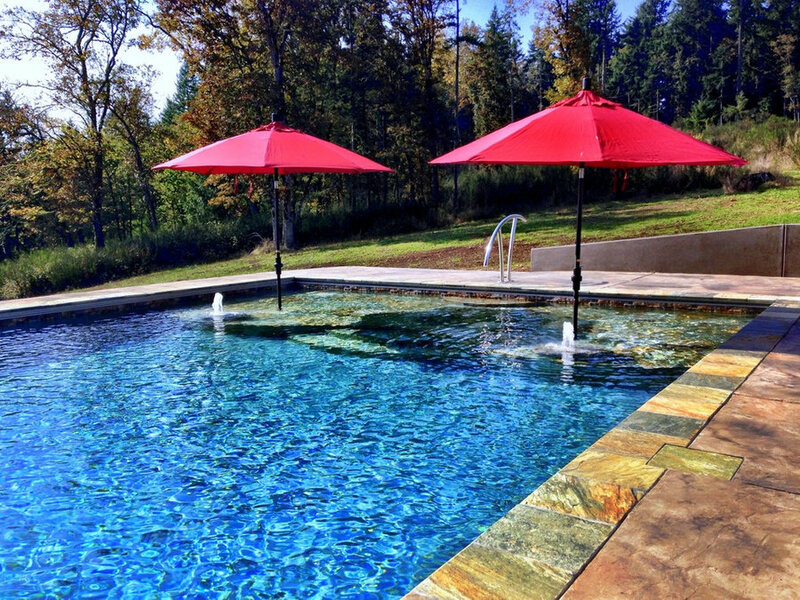 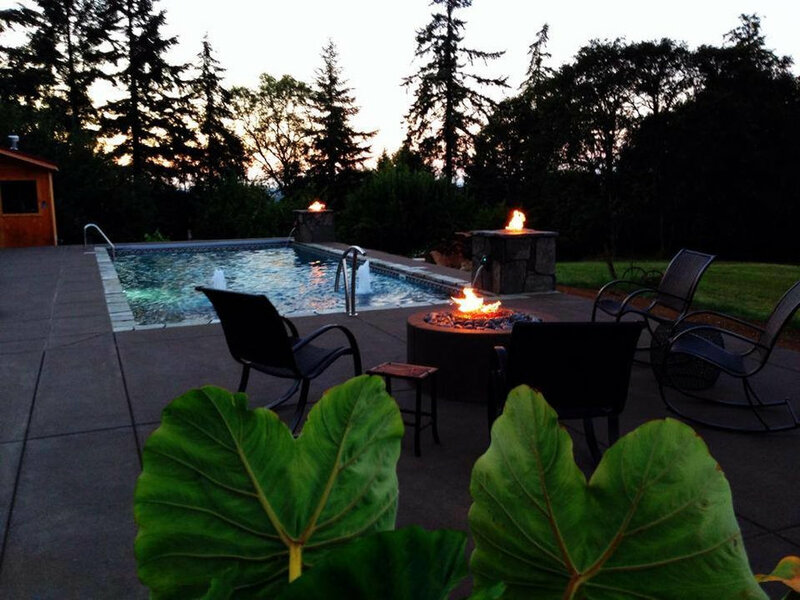 Steel-gunite hybrid pool with a custom sun shelf, bubblers and umbrellas. 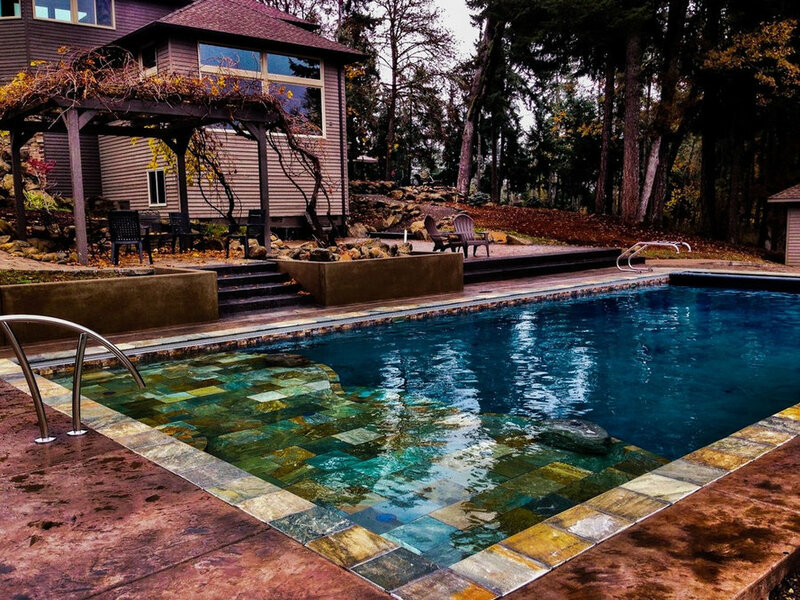 Steel-gunite hybrid swimming pool with a custom natural stone sun shelf and natural stone coping. 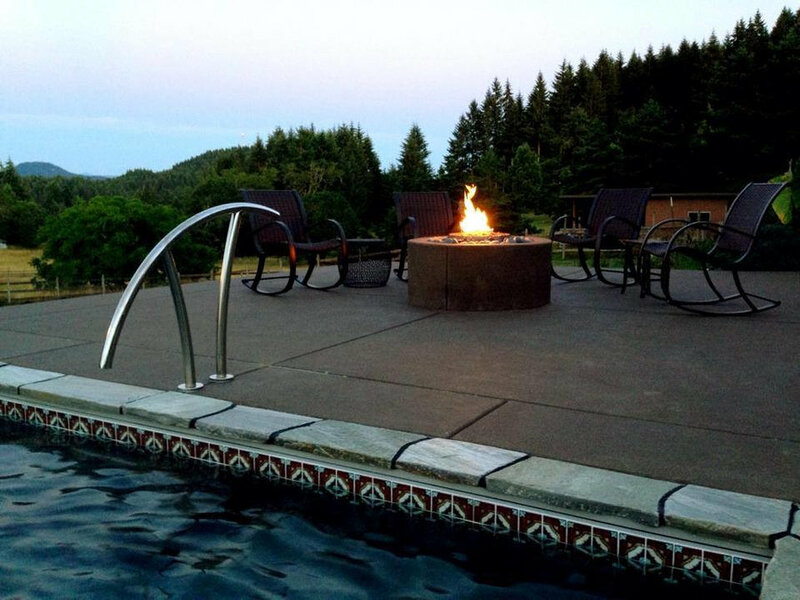 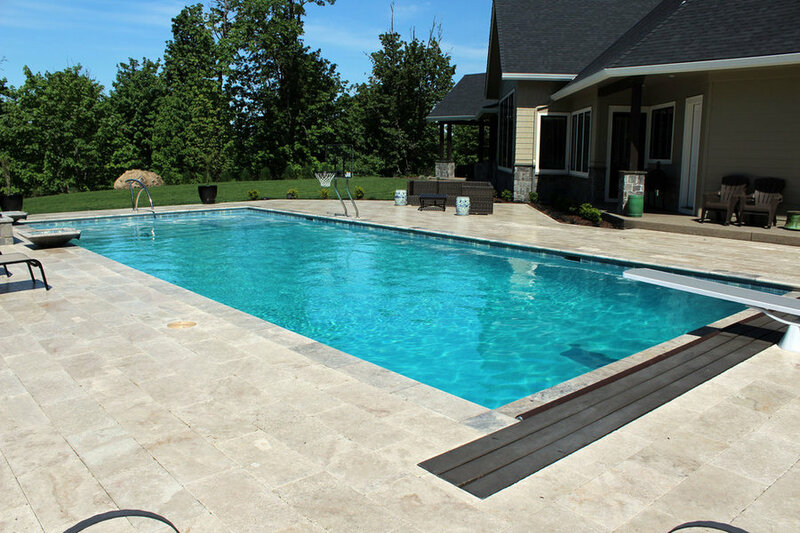 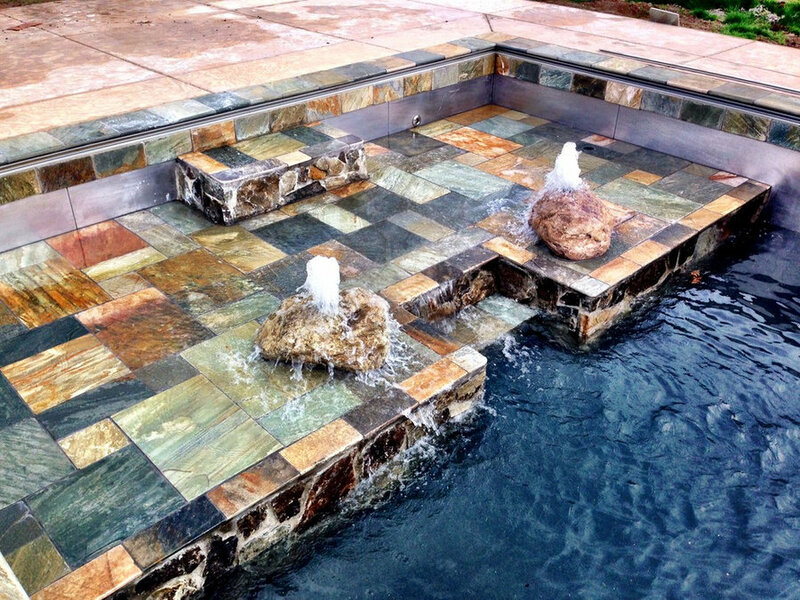 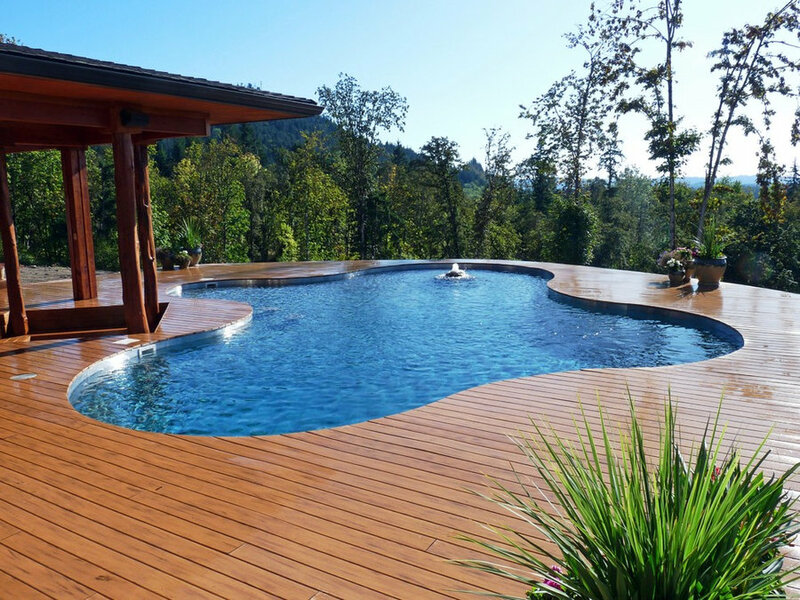 Stainless Steel Gunite Hybrid Pool with Fujiwa Tile border, travertine coping and travertine pavers.